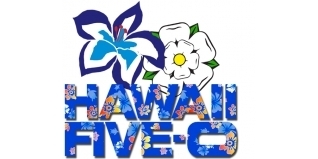 As part of his 2014 Hawaii Five-0 Project, Simon Ward has been thinking back to previous events and the times he has thought on the start line, "I wish I had..."
With such a tough and challenging goal set - to try and qualify for Kona 2014 at Ironman Lanzarote next year - Simon doesn't want to start the race with those thoughts, and so outlines here his "I wish I had list", with some plans and thoughts on how to achieve them. Your list might be very different - but have you got your goals included into your plan for success next year? Have a read through Simon's approach, and you'll probably trigger at least one thought you can add to improve your racing next year. not ignored the stretching routine. If you've read my previous blogs you'll know by now that I have created a MASSIVE goal for 2014. I'm 50 in February and in May I intend to try and qualify for the Hawaii Ironman World Championships at Ironman Lanzarote. When I stand on that beach on Saturday May 17th next year, approximately seven months from now, I don't want to have any items on the “I wish I had” list. Therefore I have identified the items most likely to be on the “I wish I had” list and my intention over the next few months is to systematically cross them off so that on May 17th all I have is a blank sheet of paper. Sounds like a tall order, doesn't it? But these are simply the process goals that you should all have in your annual plan. These are the tasks that you attend to every day that make the dreams come true. Getting more powerful on the bike or faster in the water takes time but process goals are like brushing your teeth. They are just a daily habit. As a child I tried to avoid brushing my teeth but I came to understand that if I did so twice a day it would eventually lead to less pain with each visit to the dentist. Likewise, the daily act of performing running drills, will be an important factor not only in keeping me injury free but also efficient during the run section of the race. I'll keep you posted with my progress over the next few months but feel free to share your own “I wish I had” list.